A day before, saying that Nepal is at the top of India’s ‘Neighbourhood First’ policy, Prime Minister Narendra Modi announced a Rs 100 crore package to develop Janakpur, while invoking mythological links between the two countries. 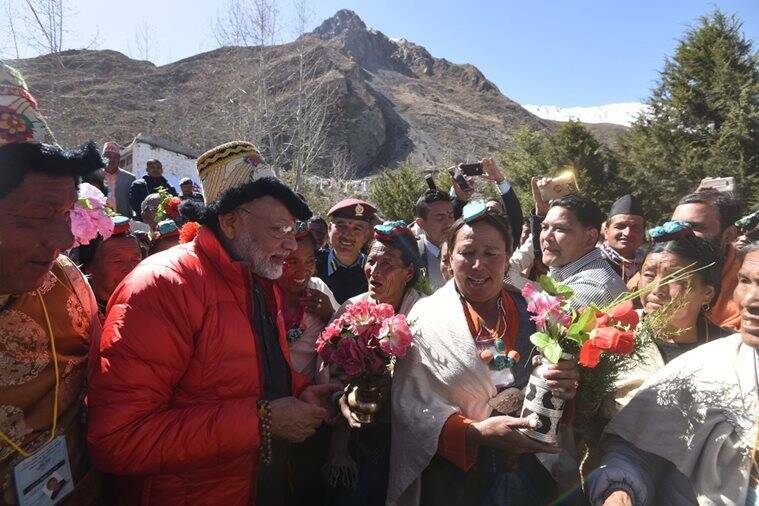 On Saturday, the second day of his Nepal visit, Prime Minister Narendra Modi offered prayers at the iconic Muktinath temple, regarded sacred by both Hindus and Buddhists. 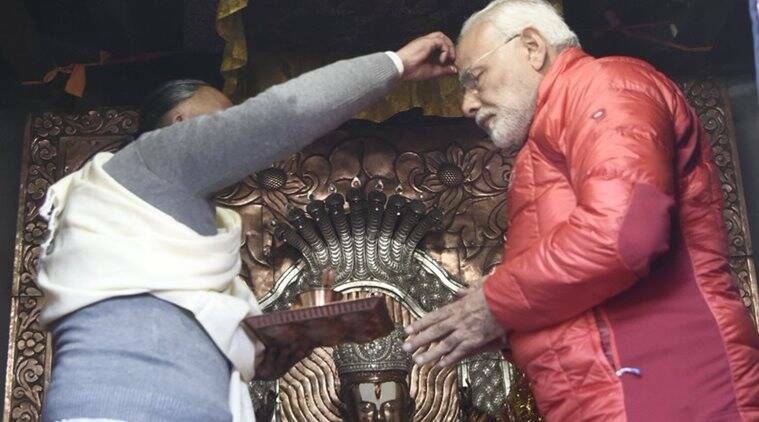 Modi is the first world leader to offer prayers inside the main sanctum of Muktinath temple said Nepal Prime Minister K P Sharma Oli in a statement, according to PTI reports. Modi wore a Buddhist traditional red dress and carried out rituals both according to the Hindu and Buddhist tradition. After praying, he also greeted and interacted with people waiting at the temple premises. Muktinath Temple is regarded as sacred place for both Hindus and Buddhists located in Muktinath Valley. He held a one-on-one meeting with Nepalese Prime Minister KP Oli followed by marathon delegation-level talks on all aspects of the bilateral relationship on Friday. Both the leaders, also, drew a tourism circuit with Ramayana as the dominant theme. They inaugurated a bus service between Janakpur, considered in Hindu mythology as Goddess Sita’s ‘maika’ (parent’s place), and her ‘sasural’ (in-laws’ place), Ayodhya. Uttar Pradesh Chief Minister Yogi Adityanath on Saturday received the first bus of Indo-Nepal bus service from Janakpur to Ayodhya. Later in the day, Modi said that “India supports a united, prosperous and strong Nepal”. 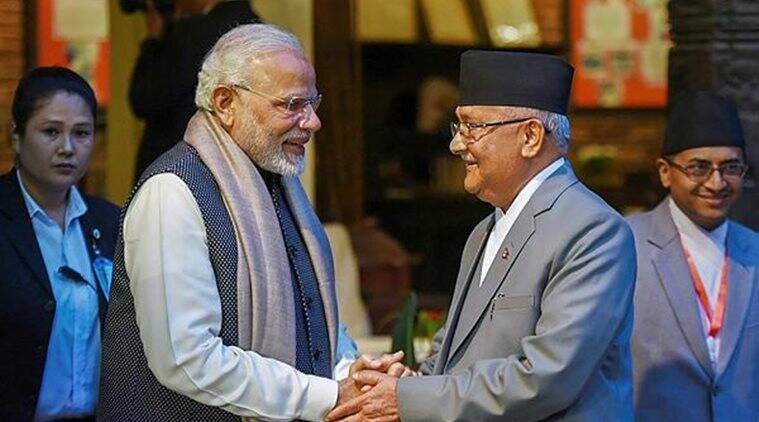 “Prime Minister Modi and I have just concluded bilateral talks on the entire gamut of our relationship in an atmosphere of warmth and cordiality that characterises the deep friendship and understanding between our two countries,” Oli said, adding that the two sides agreed to address “all matters” by September 19 — Nepal’s Constitution Day. PM Modi will return to Kathmandu today and offer prayers at Pashupatinath Temple before leaving for India.